Recollectr 3.6 just landed. The focus this release was on making setting reminders easier and more predictable. 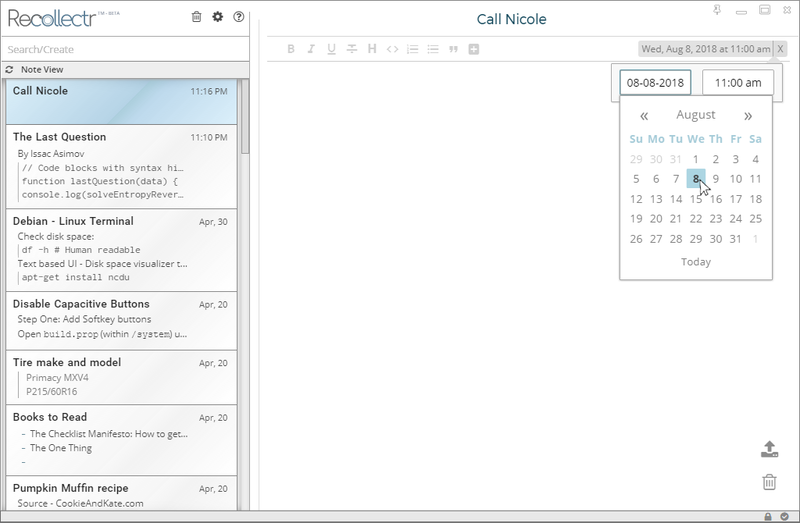 Before 3.6, setting reminders using the date-time picker was clunky and unpredictable. It also didn’t support natural language like the Omnibox does. Even the Omnibox had a number of kinks to work out, such as setting reminders for odd hours of the morning, when you’d hope it would know better. 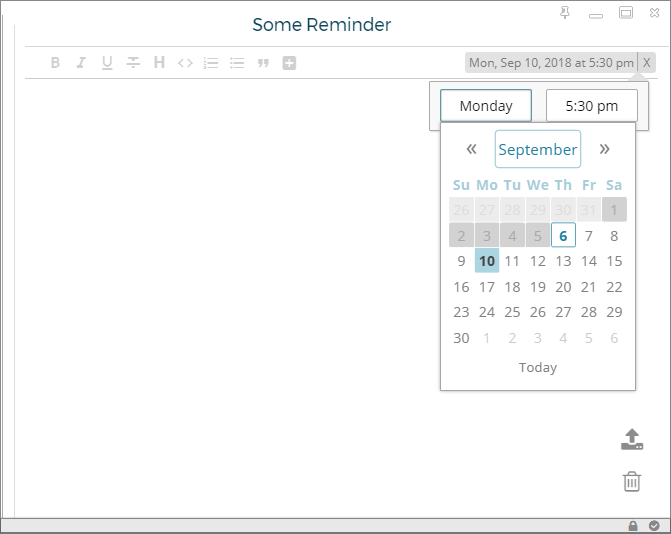 While there are some remaining issues, setting reminders is now much easier and more predictable, saving you the mental energy and helping you keep your focus on your work better than ever before! Other improvements include fixes for punctuation matching, scrolling through the note list with keyboard keys, link handling, and of course, lots of bug fixes. For a complete list of changes view the changelog for Recollectr 3.6.